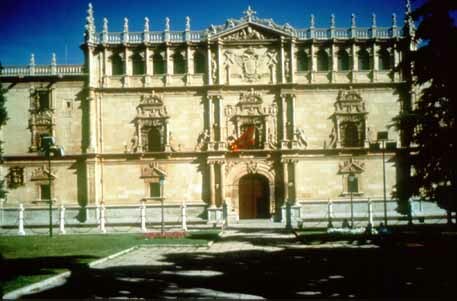 The University of Alcalá de Henares, also known as Universidad Complutense, was founded in 1499 by Cardinal Ximenez de Cisneros, by transforming into a University the Studium Generale founded in 1293 by King Sancho IV. It was the original model for the Civitas Dei (City of God), the ideal urban community which Spanish missionaries brought to the Americas. It also served as a model for universities in Europe and elsewhere. In 1836 the University moved to the capital Madrid, and in 1977 a new University was founded in Alcalá de Henares.